Please take note: We strongly encourage you to READ the blog post in its entirety and to follow the suggested links. We cannot offer any individual assistance via the comment thread or other social media outlets. ALL the information you need for a successful application can be found in the blog post and the relevant pages on the website of Teaching Affairs and Student Services. We receive lots of questions from non-EU/EEA citizens on how to get admitted to our University. In this five step guide you will find the most important answers to these questions. Please do read them CAREFULLY and follow the suggested links. Please keep in mind that we cannot offer guidance on how to apply via Social Media, but if you still have specific questions after reading this blog post, contact Teaching Affairs and Student Services directly. We’re looking forward to welcoming you as a student of the University of Vienna! 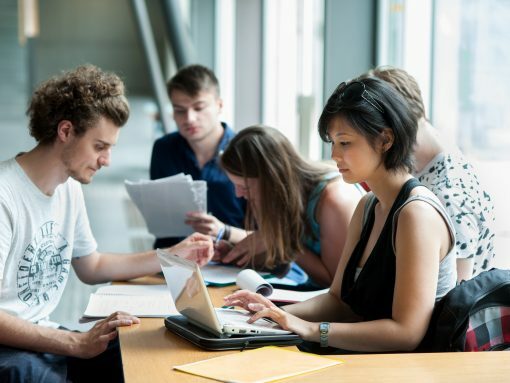 If you’re a non-EU/EEA citizen with a secondary-school leaving certificate issued by a non-EU/EEA country and are interested in a bachelor’s programme at the University of Vienna, it is very important that you become acquainted with the course contents and the various deadlines (admission periods, deadlines for application, entrance examinations, registration deadlines for German language courses or for courses at university, etc.). Please keep in mind that the processing of international applications will take at least 12 weeks. Unfortunately, this often collides with the duration of visa applications, which results in missed deadlines.We recommend you to apply as early as possible, because visa applications can also take a long time. Otherwise, you might miss important deadlines. For the additional FAQs section on how to apply to the University of Vienna follow this link. 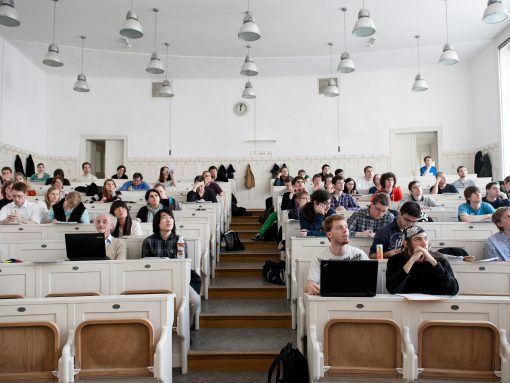 Have a look at the range of degree programmes offered at the University of Vienna. Click on the degree programme of your choice and read the information provided about the curriculum. This way, you learn about the contents and structure of the chosen degree programme. On the same page, you can also find contact details of the studies service units (SSS), the StudiesServiceCenters (SSC) and the students’ representatives who can assist you with questions about the degree programme. If you cannot find the desired degree programme among the list, the University of Vienna does not offer this particular programme (e.g. Medicine, Dental Medicine, Engineering, Architecture). For some degree programmes, entrance examinations take place once per academic year. You can only be admitted to such degree programmes if you have successfully completed the entrance examinations and have received an acceptance letter. *You need to upload a proof of German language profiency corresponding at least to level A2 in your application for all degree programmes held in German, even if you want to improve your German skills in the University Preparation Programme afterwards (see Step 3). Make sure that your language certificate is not older than two years. Please read this blogpost with the most important facts about the proof of German knowledge carefully. General information about language requirements can be found here. Due to the number of incoming applications, the Admission Office needs at least 12 weeks to process your application. You will receive your acceptance letter via e-mail. Together with acceptance letter, you will also receive information regarding the personal admission. For organisational reasons, the University of Vienna cannot inform you about the status of your application. Read here more detailed information about admission to bachelor’s programmes without entrance examination. Your official acceptance letter may require you to complete supplementary examinations (in German, English, Mathematics, History or Geography). In this case, you have to pass these examinations first at the University Preparation Programme of the Vienna Universities (VWU). You have four semesters to do so. Only after completing the prescribed supplementary examinations can you start your degree programme (Step 5). Get informed about the Registration deadlines and costs for the preparation programme in time so that you do not miss any deadlines. After having registered at the VWU, you can be admitted to a non-degree programme at the Admission Office. In the course of the personal admission, you also pay the tuition fee/Students’ Union fee. The amount of the tuition fee depends on your citizenship. You have to pay the tuition fee/students’ union fee every semester if you want to continue your studies. Once the fee has been paid, you are considered a student at the University of Vienna. You can find the registration periods for courses in u:find. u:find lists all the courses that are offered during a semester. You can also use u:find to search for the contact details of employees or departments of the University of Vienna. Plan your semester in time so that you don´t miss any deadlines. You are now ready to successfully start your degree programme. 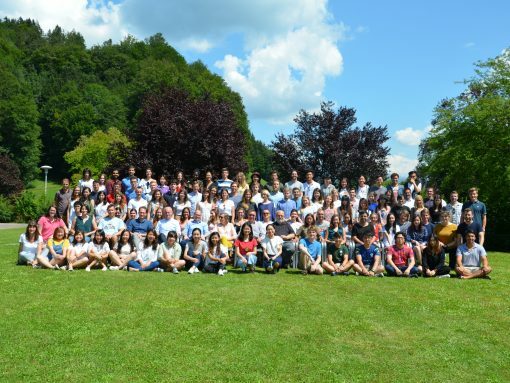 Good luck with your studies at the University of Vienna! I am shubho.I submitted my application for bsc in cse on the date of 15/07/2016,which was the last date for apply. Now I am little confused that, is it not a problem that I applied on the last date as a foreign student??? And if I will get an admission offer letter,do I need to know German language?? Dear Shubho, please understand that we cannot offer individual guidance via social media. If you have submitted documents to apply, you will receive an answer from our student point. The details on language requirements can be found in this blog post, please read it carefully. All specific questions should be directed to our staff at student point. Good morning I am from Uzbekistan I have bachelor degree on banking. I intend to apply for master’s degree, I am informed with requirements for application. But I don’t know german. I want to apply for degree in english, however mine Ielts certificate is 5,5. Could I apply for? All documents are due within 15 weeks from the start date of your first course. You can log into the student ecampus for your complete list of documents due. I’m Annalisa and I applied for a PhD position at the University of Vienna. I contacted you and the student point offices a lot of times because I’m an abroad applicant and I was afraid to mistake. Finally the problem was solved and the documents were submitted th 4th of July. Another e-mail inform me that the process took till 12 weeks. Anyway the letter of acceptance is arrived early. I received it two days ago (29.08.2016). I read that I have to reach a B2/2 German language knowledge. I have understood that I could attend a German course during the first year of my PhD. When I charged all documents on U:Space, I also registered my A1/2 German certificate specifying that I will improve my level until B2/2 for the beginning of 2017. I have been informed about the preparation programme for supplementary examination but the deadline for the application is the 2nd of September. I cannot arrive in Vienna until 5th of September because I’m working abroad. I would complete the process admission, that day (the 5th of September) with the presentation of all the documents and the payment of the fees. I cannot lose the possibility to apply for winter semester because I asked for a grant to Austrian Accademy of Science and I can’t miss the deadline (December 2016). Hi Annalisa, we kindly ask you to contact the University Preparation Programme of the Vienna Universities. It can be possible to get a course after the deadline. It has been 12 weeks and I haven’t got any Letter from Admission, what I am supposed to do please advise. Dear MK, the processing of applications takes at least 12 weeks. We can’t tell you any more, as the responsibility for admissions lies with our student point staff. You will have to remain patient and wait for an answer from them. but I am wondering Is it maybe there is a mistake in my application or in the system, because my friend got the acceptance, and we both submitted our application same day. I am patient and positive. Dear MK, we can’t give you any information via Social Media. We do not have access to individual student data. You have to get in touch with our student point staff in order to find out about your application. Thank you very much, I have visited the student point. They were very kind and they advised me to wait little bit as they recieved so many bachelor application. should my high school report be notarized at embassy when i translate it into german? and what address do i need to send to . Dear Trinh, all the information you need is in the above blogpost! Please follow the suggested links and you will find the requirements for the documents. sir i want to take admission in your university what i have to do……. All you need to know is in the above blog post. Read it carefully and follow the links. Hello! I am a graduate from Egypt and I’m interested in studying Fashion/design in Vienna. Does the University of Vienna have a Bachelor program for Design or Fashion studies? Dear Norah, please read the above blogpost carefully, under section 1 you will find a link that directs you to all our degree programs. Design or fashion is not taught at the University of Vienna. You may want to look at other Universities in Vienna that have a more art-focussed program. All the best to you! i would like to know if i want to study business administration .. should i send all my papers before the acceptance letter to austrian embassy To Verification documents or that’s not necessary ?! Hi there, please read the above blog post carefully! All the information you need to apply for admission is in the post or the suggested links. There’s some more helpful information in the blogpost “Hot to apply to the University of Vienna”, which is also linked above. We cannot offer guidance via this comment thread or other social media outlets, if you still have specific questions please contact our student point staff. Dear Elahe, for specific questions regarding the registration process, please contact our student point staff. I am Mr. Rubel Bhuiyan from Dhaka,Bangladesh. My SSC-2008-GPA-4.06(out of 5.0) Business studies and HSC-2010-GPA-3.80(out of 5.0) Business studies. I am studying a private University of bangladesh. i was unable to continue my study from 2010 to 2016 but at present i am able to continue my study and i am intersted study in vienna university . now am i eligible for admission in vienna university any subject? if i am eligible please send me what can i do and (Admission requirements,essential documents etc.)? ***you specially inform me that My study gap acceptable or not…???? Dear Rubel, all the information you need is in the above blog post. Please read it carefully. Please, clarify if i get the admission letter from the university of Vienna but I do not know German and plan to study at a preparatory course, do I need to come to register to the univeristy or derectly to the preparation course? What documetns do I need to bring to both institutions? Dear Aleksej, all the information you need is in the above blog post. Please read it carefully. Unfortunately, we cannot offer individual guidance via social media. This is Hurmat from Pakistan, I completed my Intermediate in Arts from a government university here, I have all the attested degrees, I already applied to osterich embassy here in Pakistan but its been 6 months I didnt get any responce from there. I hope it wont be an issue. Dear Hurmat, we cannot answer on behalf of the Austrian Embassy. You will have to correspond with them. Hello! Is it possible to upload the documents for the Bachelor degree earlier (e.g. in November)? I am from Russia and if the processing of the application takes about 12 weeks (3 months) and then the processing of visa (about 2-3 months), I will miss the start of the studies for sure. I would like to start to study in March. Thank you, Paula.